Namaste and Welcome to the Second Anniversary issue and third year of Nelta Choutari. That’s the number of views that Nelta Choutari crossed on December 16, 2010. That’s incredible, and we are excited about it, but we also feel more responsible towards the increased number and probably variety of readers. We define responsibility by relevance–and we can only address that challenge if you participate in and contribute to the discussions in this forum. At the end of 2008, inspired by the ELT conversations in NELTA’s Yahoo Group mailing list, three of us (at the time) wanted to make that kind of intellectual resource generated by Nepalese ELT teachers/scholars available beyond email inbox of NELTA members and the archive of the mailing group. We thought that our professional conversations must become a resource for future generations as well as shared with the ELT community in the world outside (please see related article by Prem). We first started with a wiki site with the simple aim of letting fellow teachers share their teaching stories, while we shared our own thoughts and reflections. We were not sure what NELTA colleagues across the country might want to read about–we still struggle with that question today–and we were also worried that load shedding and lack of internet access would make our effort towards building a professional conversation forum meaningless. For some time, the visit counter on our wiki seemed to confirm our fears; but instead of giving up, we started a blog, moved the materials, and continued to share our own ideas every month, assuming that if nothing else the blog would be a means for us to read one another’s ideas. But soon, our expectations were greatly exceeded. By the beginning of the next year, the statistics started soaring. In the background, however, we have always been more concerned about how to increase the contribution “by” our fellow teachers from NELTA branches across the country, or the grassroots level, than just how to increase the readership (please see related post contributed by NELTA President Ganga Ram Gautam, who was our guest at a recent meeting); while readership is important, the key mission of this professional networking initiative is to contribute towards the blurring of lines between reader and writer, teacher and scholar, practitioner and theorist, student and researcher, center and branch and so on. So, at this time, we are beginning to discuss how to encourage students (future teachers) to read and respond to professional conversations in forums like this. Most importantly, we are talking about how to let this discussion forum contribute towards building our own local scholarship, research, theories, and pedagogy. We want you to join the mission. We would like to ask fellow teacher-scholars to please shun the scholar-teacher distinction and come forward and share your ideas in this and all kinds of professional discussion forums. Colleagues from across the country who have some access to this forum, please join hands with us: let us overcome the hesitation due to center versus branches distinction (see related past article). So the question is not just how to increase viewership of this blog. 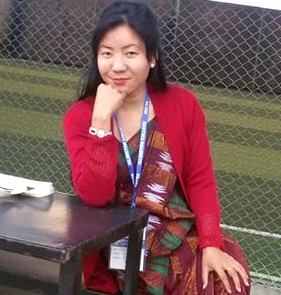 This blog is, in fact, a part of a larger mission: to make professional networking, discussion, and development a fundamental aspect of ELT practice as well as scholarship in Nepal. We often worry about the 5 or 7 of us posting our own ideas rather than posting the ideas, experiences, and challenges of teachers on the ground and discussing them instead; but to tell you the truth again, we are just beginning to get more of those contributions. Thank you very much, dear NELTA members from Palpa, Surkhet, Gorkha, and Birgunj, for your contribution for this special issue. We dedicate this issue to you! Until now, the small team of editors have been posting our own ideas a lot of times, and, indeed, blogs are usually run by one or more individuals who are interested in an academic or professional subject; but this team has tried to appropriate the rather “individualistic” culture of blogging in order to create a “community” platform. We have gradually tried to develop this forum into a magazine-like form, with monthly issues, editorials, and columns related to specific interests (research, teaching, training, learning about ELT, developing ELT resource, professional updates, integration of new media into networking, etc). We would like to dedicate the first issue of 2011 to NELTA colleagues in NELTA branches across the country, asking you to help us make this a venue for teachers at the grassroots level to post their ideas and respond to one another. With your active participation and contribution, dear teacher-scholars across the country, we can shape the course of scholarship and professional development, research and resource development, teaching and learning in ways that are specific, relevant, and engaging to us in Nepal and in particular local contexts. Let us gain the knowledge created anywhere in the world, but let us also network and work together to create our own knowledge and scholarship. Please remember to write comments for as many entries as you can. Also, please subscribe to Choutari by email. Thank you and HAPPY NEW YEAR 2011. I admire the academic and professional discourse that Shayam has infused into NELTA network and the way it has inspired other NELTA colleagues. We need lots of outreach, however. One main challenge is how to make the ongoing discourse available to teachers who don’t have access to IT. May be as the suggestion came out, some short publication and distribution might be helpful. The concept of Quality and Quality Circle that I have been sharing with NELTA forum has been gaining some attention. And i can see it happening in the way the editorial gives an empirical scenario of neltachautari readership. This is is a Quality approach – supported by empirical evidences and not just based on mere opinions. I am trying to experiment with couple of things which I will share in days to come. One of them is how to make a NELTA branch more viable and sustainable. This I am trying out with Syangja branch by mentoring it, on my own initiative. It has achieved certain distinctive characteristic unlike other NELTA branches and if central leadership can see it and approve and accept we can have it as a model for other branches. Now why I am saying is this: the notable branches that we have today are Pokhara, Dhangadhi, Birgunj and Palpa besides Syangja. Other branches are hardly visible. InPokhara it is sustaining because if the group of Private Boarding school teachers. It is the strongest of our branches in this respect. Dhangadhi because of one single person – Ramji Hamal focussed mainly on private schools, Birgunj because of Sajan Karn moving around English Education community and Palpa because of Gopal Bashyal which is limited to certain pockets. In all these branches the activity of NELTA is quite localized. Whereas in Syangja it’s different from all this. There is a change of guard in leadership in every successive Executive Committee (from YB Kunwar to Kamal Lamsal to Chandra KC with Kamal taking very active role and past chair taking advisory role). This has helped in grooming the leadership and a pool of leaders and trainers is being created which can be used for other branches too. They have learned to develop their own training materials. The collaboration with District Education Office and PABSON is working successfully and the committee comprises of a balance of government and private school teachers from lower level to the campus level teachers. And the impact is spreading in the entire district and NELTA has become a household name on the district. It published journal even before Pokhara could think of. Pokhara journal came only after Syangja journal. I could write a whole paper on this or even give a session how this happened. There is so much we can do to groom the ELT community and support the branches in our own capacity. Especially people who are in the committee need to do some soul-searching. All the fingers will be pointed to them.You cannot escape just by saying “it’s a voluntary organization and we are all doing voluntary work”. Most of the responsible works are all “voluntary”. Let the new year bring more professionalism and growth in NELTA. Happy New Year. @Lekhnath, I find your comments about professionalism and success in our professional communities very thoughtful and interesting, and because I have limited knowledge/experience on the subject, I look forward to hearing from other colleagues who know about those issues. I just wanted to note that the Choutari team also works in a truly decentralized way as well–as you say Syangja branch works–and that this issue is a very useful one for Nepalese ELT community as well as other professional fields in Nepal. (As I write this, I also mean to imply that I don’t deserve special credits your kind words indicate at the beginning of your post; thikai chha, prasamsalai hami badi chudi prayog garchhaun!). I find your post interesting because I think that there is a larger social/cultural issue that needs our attention, because it affects our professional communities, networking, and professional development–especially how confident teacher-scholars at the grassroots level feel and how much they contribute to professional activities. At a time when the same old politics of (abusive) power, (unmerited) opportunism, and (professionally damaging) hierarchy are spilling out of politics into academic and professional fields, even the professionally dedicated and honest people are finding it harder and harder to work without appealing to those elements. It’s time to broach this subject with a critical view towards our established habits and cultures. There is nothing that can stop your feelings overflow. Being in the editorial team, I thought I would not pass any comment and would just keep enjoying reading others but couldn’t. Readers go through different articles and post their comments on them but labor pains of editor is often forgotten. Belonging to the same craft, I can understand how diligently Shyam has worked to make this blog as it appears today. January is simply superb. New look in new year and everything is wonderful. Specifically, editorial displaying statistics of visitors during the past two years is worth appreciating. Incorporation of branch activities has added a fragrance to this special issue and will add a stone in empowering branches, I believe. Though we(six plus one) all are involved in it, special credit goes to none other than SHYAM who has always worked hard to maintain good coordination amongst us and has taken leadership in doing all this. May God bless you, Shyam! Nepalese ELT community must salute you for your selfless contributions. A granary of thanks again. Extending good wishes as well as hearty congratulation to NELTACHOUTARI on its celebration of the second anniversary with invaluable thoughts, ideas, experiences and contributions from different teachers and scholars, I thank Shyam Sir for his open-hearted call for all those involved in ELT practices to come up hand in hand to upgrade the round-table discussion limited to a few scholars into a vast arena of diversified ELT experiences to help each one to get updated by the others. Such REPUBLIC DEMOCRACY in the ELT by the decentralization of contributions to the NELTA FORUM will no doubt strengthen the ongoing campaign afresh. And, moreover, uplifting localization to a higher priority will certainly ensure the infrastructural developments of the ELT fields in the country to secure a prestigious space on the global stage. I myself have felt encouraged to do something for it; and, I will make some effort as far as possible. I again thank the team for the grand opening of the NELTA DOOR to all of us.